Do you know how to do a juice cleanse? Last January, after a very stressful and busy time, I’ve decided it was just the right time to start a juice cleanse. I have done it before for 10 or 15 days and I felt really good. 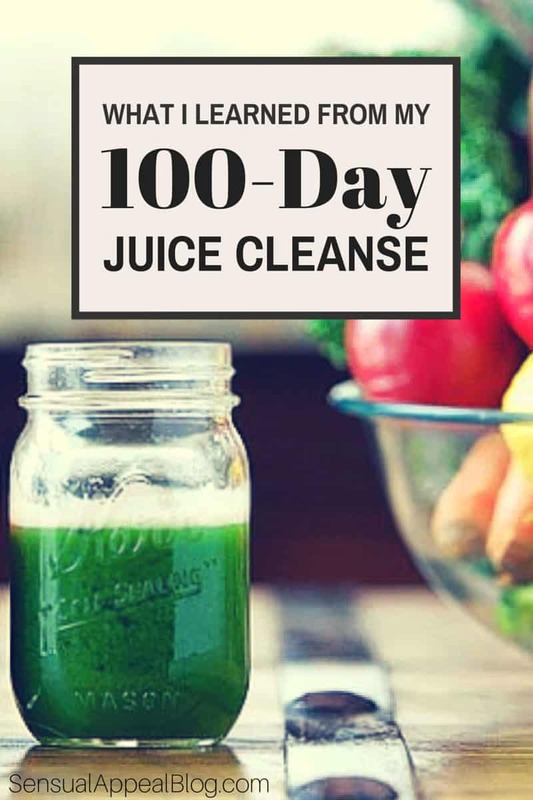 So, now, feeling confident that I can manage anything, I’ve decided on 100 days cleanse. In full disclosure, let me tell you that I am not sick and don’t have any health problems or diagnoses. I just wanted to give my body a break to detox and regenerate. Almost every day I get at least one email with an offer for a detox program, a juice cleanse or some magical diet. If you’re like me and try to stay informed, you probably get all those emails too:) Some of them are pretty good and the offers are tempting but, I have decided to choose a different path. I’ve made the decision to follow Dr. Breuss juice cleanse and stick to his program as much as I could. Never assume what worked very well and brought great results for other people will do the same for you! Dr. Breuss program is a very strict program that was mostly developed for cancer patients. Each of us has a unique body with its own strengths and weaknesses. It is only logical that each body might respond differently to the same cleanse. After the first couple of days I have found myself not able to drink the juice recommended by this program. The juice (a combination of beets, carrots, celery root, black radishes and potatoes) was way too strong for my body and my gallbladder and liver were not really happy with my choices! One morning, I was looking at this gorgeous purple juice and I couldn’t even take a sip! Don’t stop just because you had some failings! I was feeling frustrated and I really wanted to stick to the program but my body said no. I had to diversify. It’s easier when everything is clear and scheduled and you just have to follow the program but, if something happens, just look for something that will agree with your body. My choice was to take it day by day, go with the flow and allow my body to choose whatever was best for it at that time. Somebody else said it before me, learning or reading about something will never fully prepare you for the experience. As a Naturopath, I have studied different cleanses and detox practices during school. We had to study the cleanses, symptoms, and so much more. Did it help me? It gave me a deeper understanding about our bodies, what detox is, what do we need to detox and what to expect during a detox/cleanse. Was it exactly like they say in the book? Not at all! Every day was different! Trust me, nobody told me in school that after 21 days on only juice I’ll feel stronger than ever and I’ll be able to do the plank easier than I did it when eating normal. Get clarity on why you’re doing a juice cleanse. Is it for weight loss? Do you have a health problem? Is it just because everybody’s doing it? Knowing your why will help you choose a certain cleanse or your juice choices. Fruit juices are more detoxifying and they will help regenerating your nervous system. They will also bring a faster and easier weight loss due to their stronger detox effect. Are you afraid of having too much sugar from all those fruit juices? Don’t be! There is nothing more nourishing than simple sugars from fruits. That’s why grape juice is one of the most powerful cleanses. Veggie juices are more supportive for building up and regeneration of the tissues. They also are great supporters for your kidneys and adrenals. If it’s possible, stay away from any drama! Did I finish my 100 days on juice? Unfortunately, I’ve reached 85 days and everything was going really well when I made the mistake of getting caught into some arguments with my dad and suddenly everything went out of control. I started having all these food cravings and I was feeling really hungry. My peace was gone and I couldn’t get back on track. For 85 days I almost never felt hungry. It took only a couple of negative emotions and I felt like I was dying because of the hunger. A juice cleanse might be one of the easiest things that you can do to balance your hormones. I always had problems with my high estrogen levels. Before my period my breasts will get really sore and I’ll get headaches. About five days into the cleanse, soreness in my breasts was completely gone and to this day it still hasn’t come back. Imagine my happy dance here!!! It is so much easier when you support your body with other things. During cleanse, I have tried to help my body with teas, tonics and tinctures. I drank teas like nettle, dandelion, mint, thyme, lemon balm, burdock root. I also added fresh herbs to different juices: basil, mint, oregano, cilantro, parsley. I tried to drink lots of lemon and lime juices so my lymphatic system will have the necessary support to eliminate the toxins so I won’t get very bad symptoms. I took herbal tinctures to support my endocrine and lymphatic systems. It makes such a difference when you don’t get all those uncomfortable symptoms and it helps you staying on the cleanse. I used different powders in my juices like rose hips, turmeric, spirulina and chlorella. What were the juices that I drank after I stopped Dr. Breuss protocol? Some days I drank veggie juices, some days fruit juices with some fresh herbs in them, and some days I just felt no need for any juice and I had only water and teas. Did I ever take a bite of food? In the beginning, when I felt weak I had a teaspoon of manuka honey so my blood sugar wouldn’t drop too much (it happened about five times during the whole cleanse). You might gain some weight before losing it. Lots of people start a cleanse only because they want to lose weight. What they don’t know is that, depending on the level of acidity in your body, you can experience inflammation and water retention in the beginning and you will show weight gain instead of weight loss. Also, if you don’t make sure your lymphatic and urinary systems are supported so they work properly to eliminate, you’ll just create a lot of inflammation, congestion, recirculation of the toxins and even pain. Would I do it again? Totally! In fact, I plan on doing it pretty soon, after I am done with some traveling, probably around mid-November. No, I don’t recommend it to everybody and I personally think you should feel ready to do something like this. Even as a Naturopath, I let my clients exercise their intuition and free will. You are the first to know what you can and what you can’t do! You just need to be open and honest to yourself. If you are interested in doing a cleanse, and you would like to learn how to do a juice cleanse, a good idea is to start smaller and you can try a three days cleanse. You can learn everything about a short cleanse here. I know I haven’t touched here the subject of exercising during a cleanse but if you are interested in the best workout plans, you can find all that you need here. Bottom line, don’t get stuck only on the idea of a cleanse, juicing or diet. Get stuck on getting healthier every day by improving your life step by step! Work not only at the gym, work on eating better, work on your thoughts and your emotions! If you are interested in learning more about my journey and how I got involved in anything related to holistic medicine you can check my website or follow me on Facebook. Disclaimer: Even if I am a Naturopath, I don’t know your specific health problems and this is just the story of my personal experience. You should always check with your physician before doing any changes to your diet or start any detox/cleanse program.